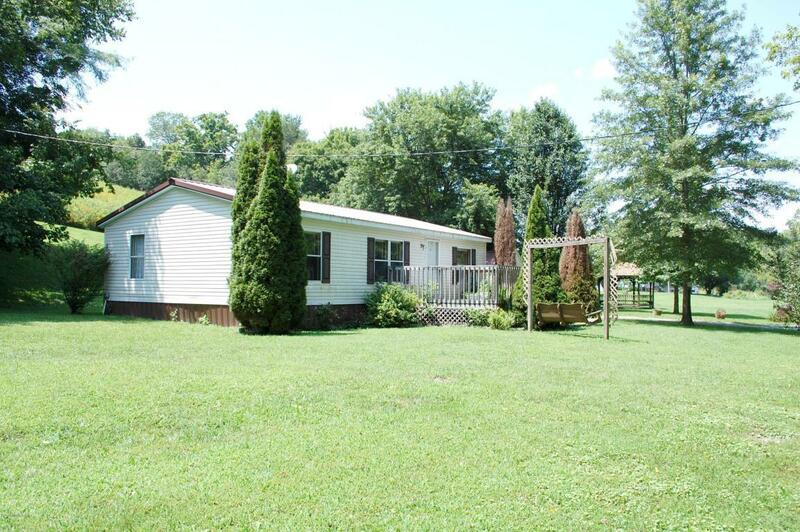 Welcome to this 1056 sq foot manufactured home sitting on 5.65 acres. This home features 3 bedrooms and 2 full baths with a laundry room. Simpson Creek runs right in front of the home while the back of the property features some woods and open land great for hunting. This home is 1 mile from downtown Bloomfield, close to town but with all of the county benefits. Sit on your front deck while listening to the serenity of the creek running. The beautiful gazebo stays with the home, along with the new metal building and the appliances currently in the home. The wood building is in bad condition and could use some repairs or to be torn down. This home has a room addition that is partially finished. Water has gotten inside the addition before adding the proper roof and therefore left a moisturemoisture/mildew/mold issue. This room needs repairs to get it in good condition. There are no utilities on in the home but seller is willing to turn them on for inspections. Inspections are welcome but no repairs will be made. Home is sold in AS IS condition. To access the home you will need to cross over a concrete bridge.